Queen Mary’s Grammar School, Walsall, Cadet. This is me at 15, a Cadet at Queen Mary’s Grammar School, Walsall. Everyone called me Bertie: my full name is Arthur Hubert Hibbett. At the outbreak of the Great War, I was 19 yrs old and a Mining Surveyor Apprentice in Walsall, to a Mr. Nightingale of Lichfield Street. 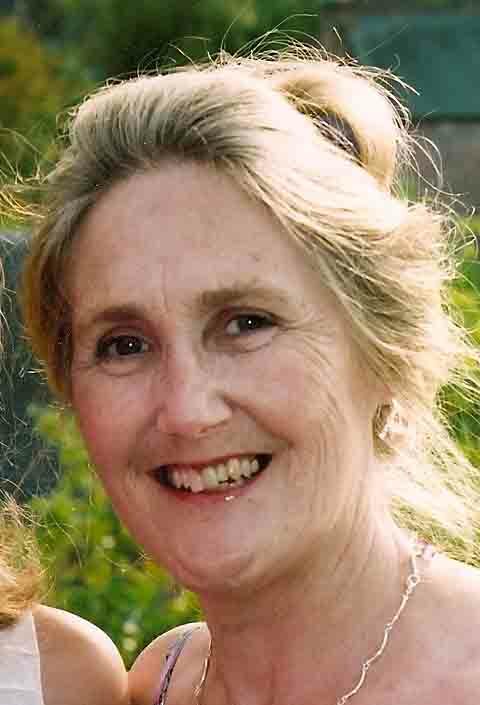 My father was Chief Inspector of Schools for the Borough. 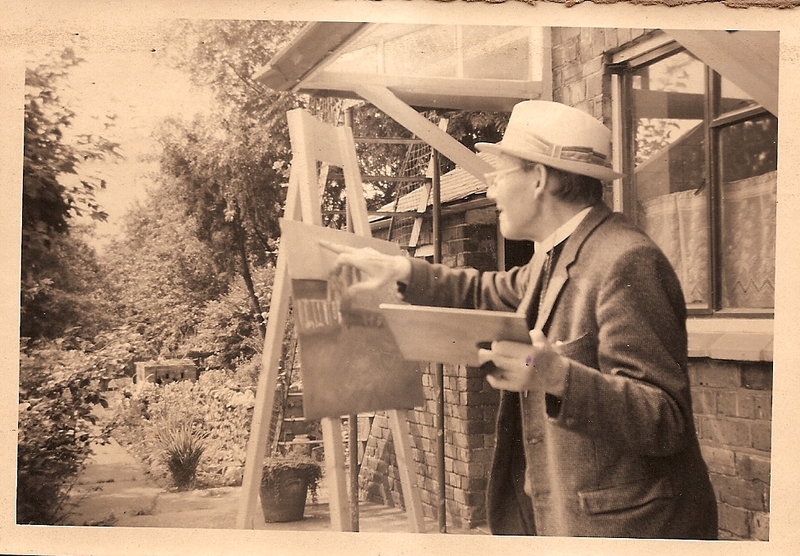 The whole family, my parents, three brothers and my sister, were on holiday in Abergele, Wales, when my old Headmaster, Mr. E.N. Marshall, sent my brother Sydney and me his fateful Recruiting Postcard, to raise volunteers in the 1/5th South Staffordshire Regiment. 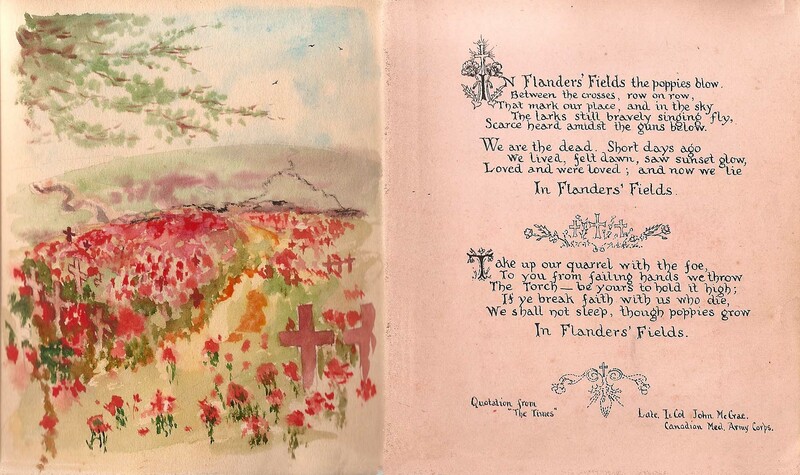 ONE HUNDRED YEARS ON my daughter, Elizabeth, will be posting this Card again, on the date it was sent, August 11th 1914. For the next four years, God willing, she will continue to post over 200 of my letters on the date I wrote them from the trenches, with my drawings and sketches. They are to the various members of my family but mostly to my Mother. They date from training in Luton and Saffron Walden and from the Front in Flanders & France, – until I went over the top on the first day of the Battle of the Somme, July 1st 1916. I was wounded and my brother Sydney was killed . Further Letters, written in my left hand, will follow from the Red Cross Hospital, New Brighton, until my discharge from the Army in July, 1917 . 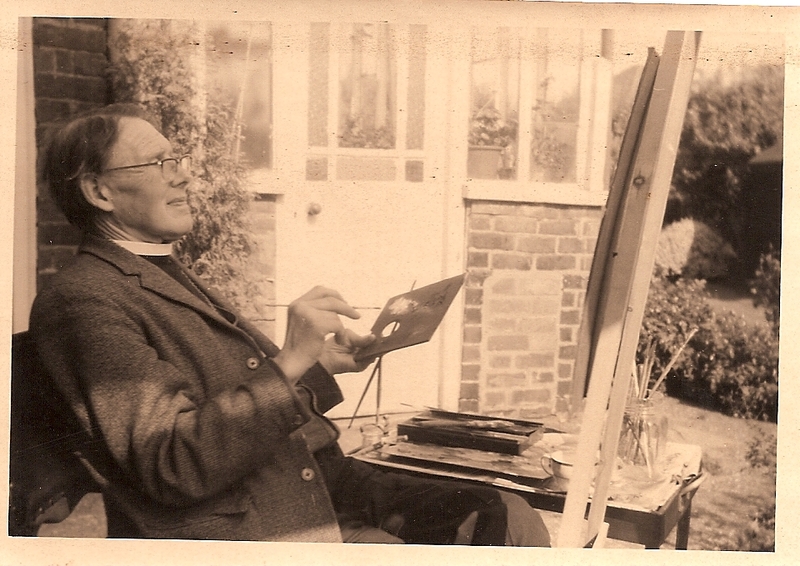 They will continue from Lichfield Theological College on Armistice Day, 1918, until I was ordained an Anglican Priest in 1924. 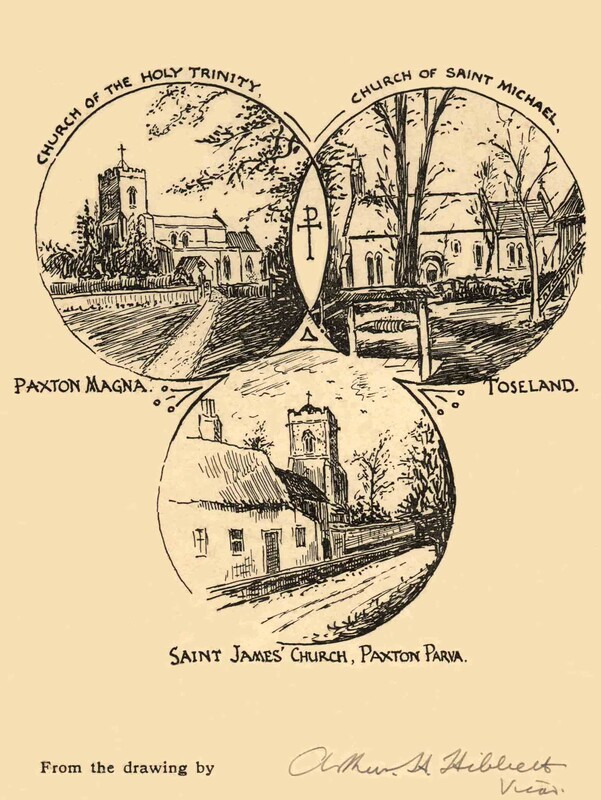 MY FIRST LIVING was Great Paxton, Little Paxton and Toseland, in Huntingdonshire, but I served the rest of my ministry in Lincolnshire, mainly as Vicar of St. Vedast’s Church, Tathwell, with Haugham, near Louth. This Patron Saint was a constant reminder to me of Easter Day Dawn, 1916, when I stood sentry at Neuville St. Vaast, on the Somme. 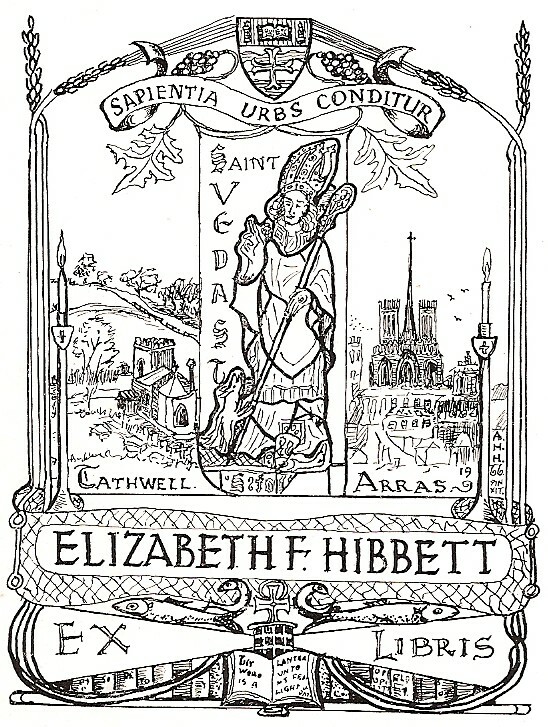 Bookplate: St Vedast unites Tathwell Church with Arras Cathedral under the University of Nottingham’s Latin Tag ‘Sapientia Urbs Conditur’ (The City is Founded on Wisdom) and above Psalm 99 ‘Thy Word is a Lantern unto my Feet & Light unto my Path’. AHH 1967. 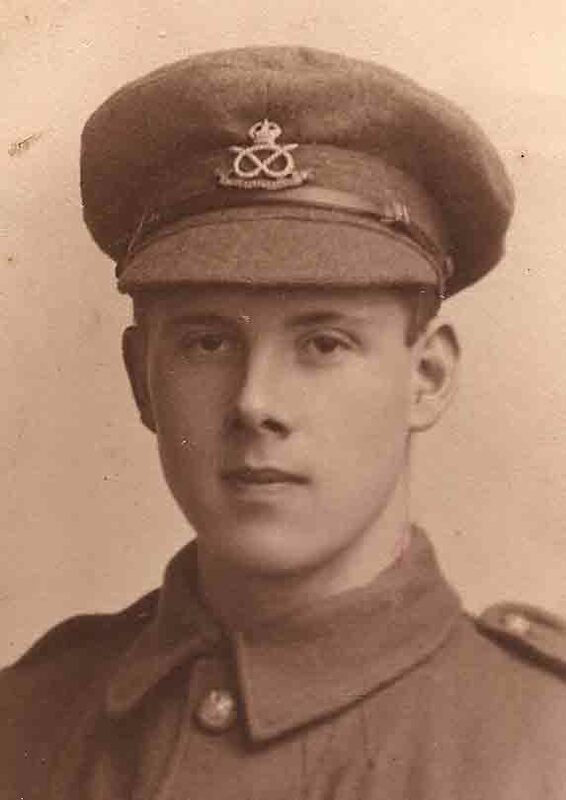 ‘As a child I was made more aware of the 1st World War than of the 2nd, in which I grew up. My father never allowed me to forget that I was born on St Vedast’s Day, for it was an ever present reminder to him of his Sentry Duty at Neuville St. Vaast, Messines, Easter Day 1916. I had a little seat on his rattley old bike and he would take me round the parishes selling Earl Haig poppies. I am currently writing a history of the 1/5th Bn SSR 1914-1919 after retiring from being Head of Research at The Staffordshire regiment Museum. I would like to add details from your website if you would permit it. This is good news! Please use what material you wish and acknowledge in the usual way. I hope one day I may be able to afford to publish the Letters myself. With that in mind should you wish to publish any of my father’s drawings I will let you have them scanned to a higher quality – for a consideration I would also be grateful if when reading my website you would let me know of any inaccuracies or additional material that would clarify the letters & their background. 100 yrs ago my father was in hospital when 1/5th embarked for Alexandria. He followed them to Marseilles & after two weeks he went on board RMS Andania, but only for one night. He then appears to have been attached to the Notts & Derbys, acting as MP over billets at a place called Bellancourt, where he met up again with 1/5th just returned from Egypt. Do you know where Bellancourt is? I would be grateful to know and also and whether the Notts & Derbys have a War Diary? Many thanks.